Once upon a time, Max was a regular guy studying a degree in Information Systems and Management from the University of London. He loved writing and dreamed of saving the world with stories. During an expedition to climb Mount Kinabalu, Max was almost at the top of the mountain when he found a strange cave. Having a strong curiosity, he decided to explore the cave. Inside the cave, Max found a magical ninja artifact– the Ten Rings of Qwertyuiop. As he put on all ten rings, Max felt a surge of creative energy throughout his whole body. The rings empowered his fingers to type at lightning speed and caused his mind to become supercharged with stories. To control his newfound ninja powers, Max applied to join the Gametize Institute for Gifted Ninjas. Gametize’s fun atmosphere ensures that Max can exercise his powers freely without over-exerting himself. 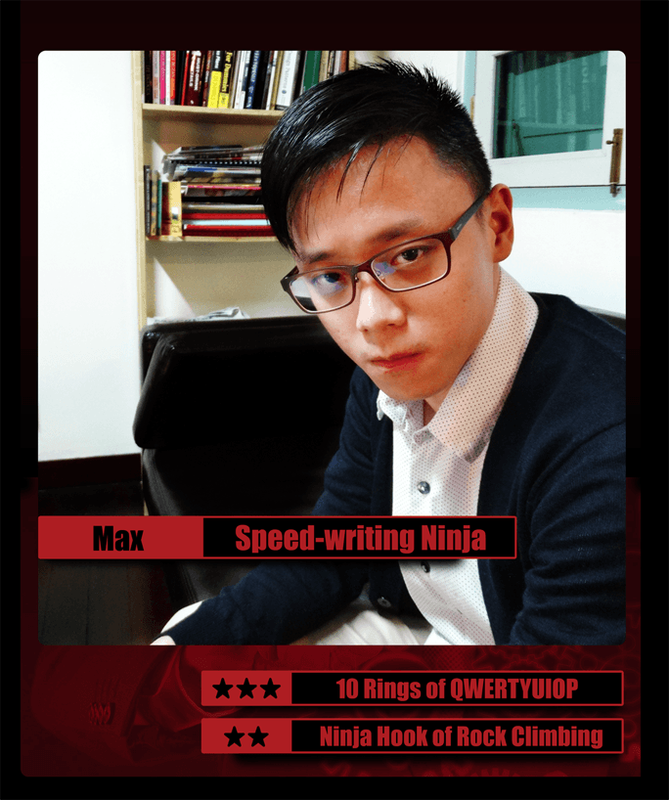 Max joins the Gametize team to use his abilities in crafting engaging articles on gamification, inspiring readers and spreading the spirit of fun.